We're all about simplicity, affordability, accessibility, equitability, integrity. Adam from the Independent Weekly came by the stand Saturday and asked to write a piece on us. I said to keep it small as we are still building and don't want to be overrun by the discerning hordes of Triangle foodies. Exciting, tho. I appreciate their tagline: "Everything will be different tomorrow"
Week Six was a smash. The donuts sold out really quick. The French Bread lasted till the end. We brought home 4 of 45. SSS and MC helmed the table and took a lot of great pictures (see below). CW and RML filled in and assisted. Thanks guys! Shouts to Adam, Chris, Annie, yoyo, EC, Ed, Karen, JB, EWB, Sally & Carolyn for coming thru. And I bought cardstock to make notecards to put in bags alerting customers to the blog and facebook. I'm working on getting vinyl signage from Kinko's for the front of the stand. The key is rubbing the mayo into the chicken with your fingers. This gets the mayo into all the nooks and crannies of the meat, giving you delectable chicken-mayo bites in your sandwich, rather than a spread that is alternatively wet (loose mayo) and dry (white chicken meat where interior has not been touched by the mayo). I recently started using the approach for my granola, and the results have been good. Rather than just mix up the oats, sugar, and fat with a spoon, I've been heating the fat and the sugar together in a pan, then mixing the liquid with the oats (and a little salt) in a bowl by hand until everything achieves a uniformly coated/saturated consistency. I think if I needed to make a lot (i.e. for the stand), I would use one of the mixers at the bakery to get the same consistency. "Unless people suddenly build 5,000 housing units in the area, [foot traffic] is not how we're going to succeed," Moffitt says. "Where we're going to succeed is by building a business where people will drive from all over Durham to shop." These guys want to build a 10,000 sq-ft store where corner stores have a tough time surviving. Why feed into the car-centric model if you don't have to? A 1,500 sq-ft store for a tenth of the price (the project is slated at $4.2 million) closer to the heart of Downtown might be more of an immediate asset to the community. We had a good day at the market yesterday. We sold out of all our soda bread and French Bread by around 11:40. The French bread had a nice tang to it -- I used a natural starter and poolish. Next time, I will hydrate the poolish a little more so the bread has more air bubbles in it. (For better or for worse, recipes can take months, and sometimes years to perfect. I really admire Tartine baker Chad Robertson for explaining in his cookbook Tartine Bread the iterative, deliberative, and time-intensive process that goes into finishing a recipe.) Also, because I baked in a convection oven rather than a hearth oven, the bread's crust was a little softer than was optimal. Nevertheless, they browned nicely, rose big, and looked beautiful in the wicker basket displays. I brought a couple of loaves over to a baby shower later that day and they were a big hit for sandwiches. The soda bread was well received, but I am still trying to perfect the hydration level. It was a little too gritty for my taste yesterday -- needed a little more buttermilk. In weeks past, I have been adding too much buttermilk, then have had to compensate with extra flour. We'll get there. Jennifer's electronic music from DJ Digital Organics definitely set the pace for the day. Her sign and origami flowers were really class. I had an apprentice baker in the kitchen yesterday morning. Big up to BN for taking the plunge and seeing what commercial baking is all about. You were a big help and made the morning fun and educational. Big up to everyone that came through at market: BN and AST, Bob from Grill-Me, Brandon, Zach and Cristine, EC, Lauren, and Aya, Mattieu, Rufus, Jenny+ Jerry, and of course JP. Big up to MT for helping out with the blog design. "I think it should be colorful." Comment if you have any opinions on colors, fonts. I feel like we should have a poster at the stand demonstrating our solidarity with those fighting for democracy in the Middle East. Anyone want to get in on this? 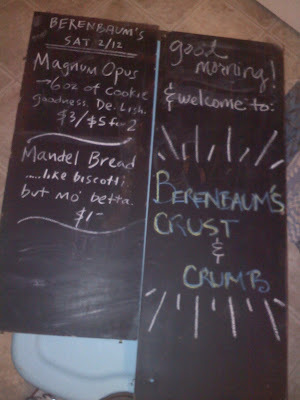 For about the last month, we've been using a chalkboard for signage that we made by spraying old particle board (from an abandoned bookshelf) with chalkboard paint. Writing on the surface resulted in less than clean lines, and it was pretty easy to scratch off the paint if you pressed too hard or knocked it. Maybe it needed two coats? In any case, we bought a $10 chalkboard from AC Moore yesterday -- we'll see if this is an improvement in style and clarity. Originally, I thought that there would be no caffeinated drinks at the stand. I no longer drink caffeinated coffee and rarely drink decaf, and though I find good coffee delicious, I think it is a common addictive vice of our modern age, up there with alcohol and cigarettes. Coffee was brought up enough times from Day One that we tried it out, and lo and behold, people drink coffee, lots of it. As a middle ground, about a month ago, I bought some Ceylon tea with cardamom from Little India. I figured, yes, we'll have good Counter Culture coffee, but this light, sweet black tea will really be better, more sophisticated, better taste, less jitters. And so we made coffee and tea and the coffee outsold the tea, no surprise. Maybe I will try putting out sample cups of the tea this week? I was out of town this weekend so AST, BN, and SZ filled in for me (thanks guys, you're amazing! )........Suggestions were made for pricing and for the stand name (see pic). 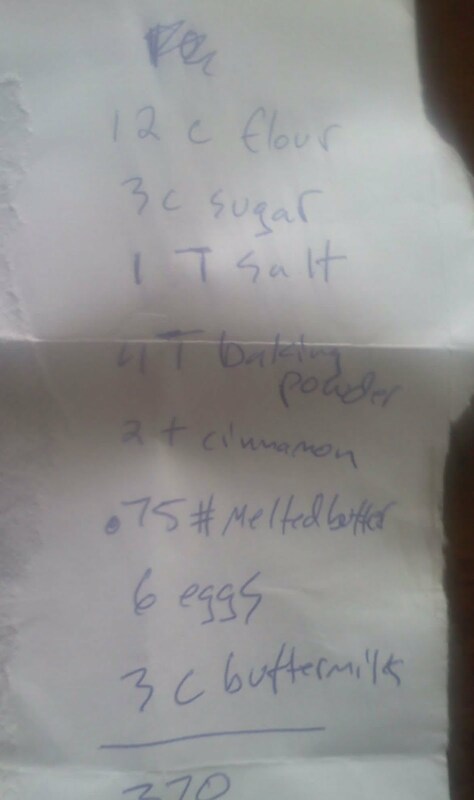 Got comments for more coffee, and to make the Soda Bread a "regular". I had an experience that is still ringing in my ears. I told some of my Jewish co-workers that I sold cinnamon raisin babka the other week at the Farmer's Market. They said, "Great, how many did you sell?" "We sold out. I made 13." To which they gave me this look like, "13, you will never become a babka baron selling only 13!" 13 babkas felt like a lot when I was making it at 5:30AM that morning. At $6 each, I thought that was a pretty good sale for our small stand over two hours, especially combined with all the mandel bread I had baked and sold. But then greed started to play in my mind -- like I should be aiming for $400 in sales rather than $150-200. And I had to remember why I was doing this. Not for sales, not for profit, just to build a brand, get people interested, roll out interesting product, feed the people that deserve to be fed, etc. I saw my friend Elisha last night at the bakery. She was baking her awesome Gorilla Grains Granola for sale at a market in Greensboro. She baked 250 pounds, and said she can sell 60-80 pounds at market @ $8/pound. I was doing the mental math, and again was like, "Wow, we will only be 'successful' if we do numbers like that," and again had to restrain myself and again think about the mission. 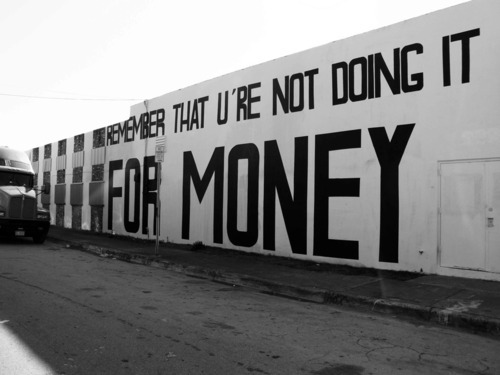 Once money gets out in front of the equation, you're done-o. I already have one job that I do for the money, and I don't need another. I was told last night by one of our collaborators, "If you don't get a sign up soon, I'm gonna scream!" We're working on it, we're working on it. 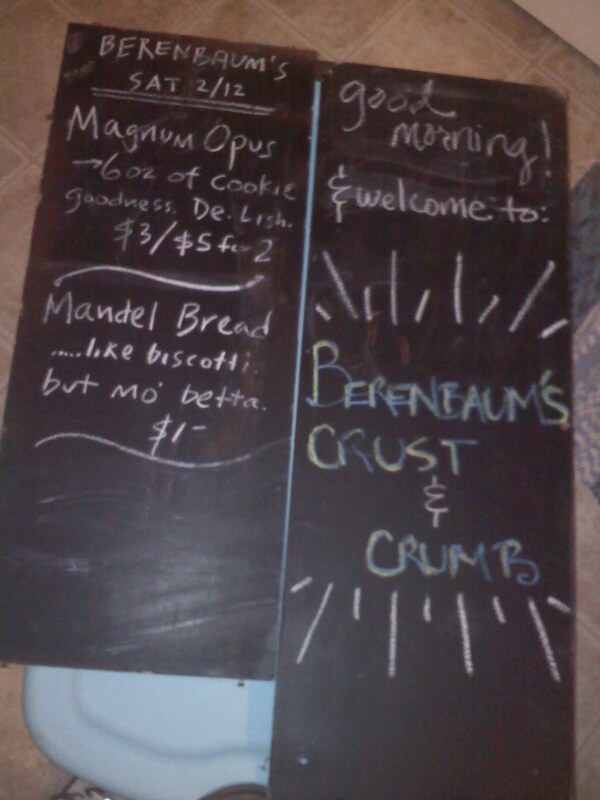 Latest stand name seriously deliberated: Berenbaum's. Kind of a bold move, dontchathink? So if you read this post, you know that we've gotten a little static from the Farmer's Market/Durham Central Park. We followed up this past week with a request to the market manager to temporarily share a vendor spot in the Market with a vendor we know that does not operate during the Winter. We were curtly denied. One of the vendors mentioned possibly starting our own Farmer's Market as there are several other farmers/vendors who would otherwise like to join the Market this year. I was thinking of that empty lot next to Motorco in Downtown. What do you guys think of that idea? Are there enough market-goers to sustain two markets? Would creating a competitive market for farmer's market goods result in better quality, or just lower sales receipts for all vendors (due to the market dilution)? On Saturday, with no bake stand due to rain, Yoyo and I went to Carrboro (our old hometown). We started out with a take-out pastrami sandwich at the new Streets Deli. Then we sat at Weaver Street and had the deli with a Jamaican-style ginger ale. Then we dipped over to Roulette Vintage (they had a "for rent" sign out front, what's up with that?). Then (this is getting to be like a 4th grader short story) went next door to the new "This and That" (no website) (Jenny Macmillan of Nested has rented half her store to this new yet similar boutique). 2 doors down, we stopped in All Day Records. Lastly, we hit up some take-out at Sam Suchoff's new The Pig (where the old Barbeque Joint used to be). About halfway through this consumption marathon, I was crossing Weaver St. to get back to the car, thinking, "Is this what living in a vibrant, intellectual, liberal economy (such as Carrboro's) is all about? The ability to buy a bunch of tasteful, responsibly-sourced crap from 8 or 10 sellers in a population-dense, walkable small town?" For a baker, one of the most important ingredients is buttermilk. Buttermilk is commonly used in scones, biscuits, soda breads, and doughnuts. Buttermilk gives baked goods a richness, a mild tartness, and a consistency (due to its thickness compared to milk or cream) that is unrivaled. Storebought buttermilk, unfortunately, is not comparable to farm-fresh buttermilk. Buttermilk was traditionally made by churning heavy cream until the mixture separated into butter (solid) and buttermilk (liquid). 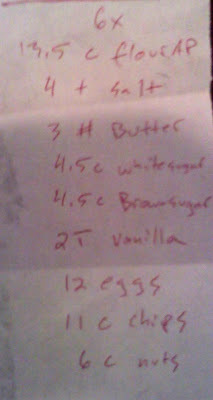 If you would like to see the process firsthand, beat heavy cream until you get whipped cream. Then keep beating until you get butter. The liquid at the bottom of your bowl is buttermilk. Store-bought buttermilk is actually skim milk that has been cultured by the addition of lactic acid, then pasteurized and homogenized. The flavor does not compare to dairy-fresh buttermilk. Upon reading Darina Allen's recipe for Irish Soda Bread, I was extremely jealous knowing that she likely had ready access to flavorful, rich, pungent buttermilk from her 100-acre organic farm in Ireland. Semolina is like the holy grail of flour. It packs much more flavor than ordinary unbleached. It's the flour commonly used in pasta. In pizza, it's exquisite. I was inspired by this video (below) to make all-semolina pizza dough. It's not commonly used because kneading it is more difficult than unbleached white flour due to its coarseness. You can immediately identify it in the video by the dough's texture and yellow color. Coffee is so elemental and essential to the cafe experience, yet many laypersons who drink coffee every day do not know their coffee basics. Beans peak in flavor 1 week after roasting. After that, they are only good for another week in the open unless they are kept in a 1-way airflow vacuum-sealed bag. Opening up an ordinary vacuum-sealed bag then leaving it on the counter for 2 weeks is a no-no. You wouldn't do that with potato chips, and the same is true for air's effect on coffee beans. I have had reasonable results freezing coffee so long as the bag is quickly placed back in the freezer and almost no air is trapped in the bag -- as soon as moisture touches those beans -- game over. Automatic drip, medium grind - 15 secs. French press, coarse - 10 secs. Cone filter, fine - 25 secs. The grind size and grind time differs due to the amount of water absorption needed relative to the method: too much saturation= bitter coffee; too little saturation = weak coffee.